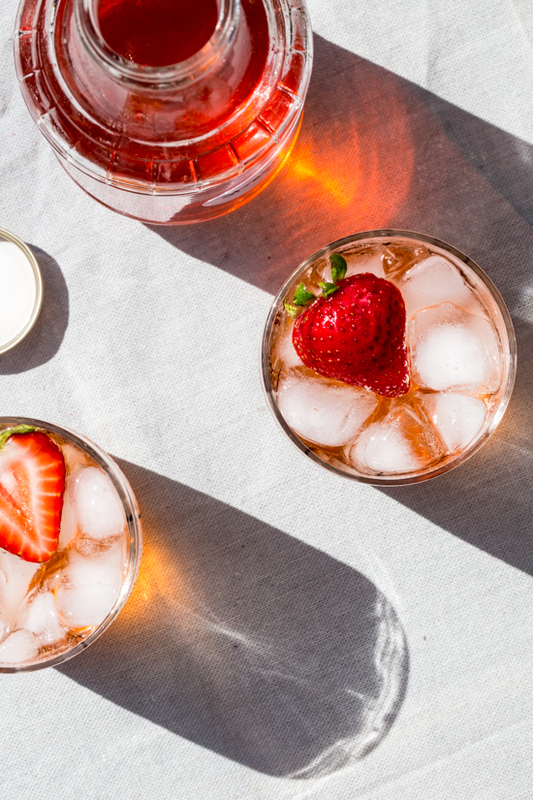 Strawberry Shrub coolers made with fresh strawberries and cider vinegar are surprisingly sweet but refreshingly tangy and perfect for a hot summer afternoon. Let’s talk about shrubs. Have you ever tried one? If not, you need to put this on your to do list this week. A shrub is basically a fruit and vinegar syrup. Fruit and vinegar might sound like an unusual combination, but I’m telling you, they will blow your mind. I’ve made these several times and last summer I made an awesome blackberry peach version. This year, I wanted to tap into some sweet, fresh summer strawberries. There are a few different ways to make a shrub, but I really like this method from Serious Eats that makes a syrup from mixing fresh fruit and sugar. It’s a bit of a slow method, but the cold syrup method helps retain the fresh flavor of the berries. After a day or two in the fridge, the sugar helps draw out the juice from the berries and mixes to make a sweet, rich syrup. Then, the syrup gets strained and mixed with fruity cider vinegar to make a tangy, sweet syrup. Mix the syrup with seltzer water or even use it as a base for an alcoholic cocktail. It is Cocktail Friday after all. Today, I wanted to show you how simple these non-alcoholic coolers can be to make. Simply mix fruit and sugar and wait. While the waiting time can be tedious, hands on time is almost nothing. No babysitting pots of hot sugar water. Strain. Mix with vinegar. Voila! Shrub syrup! 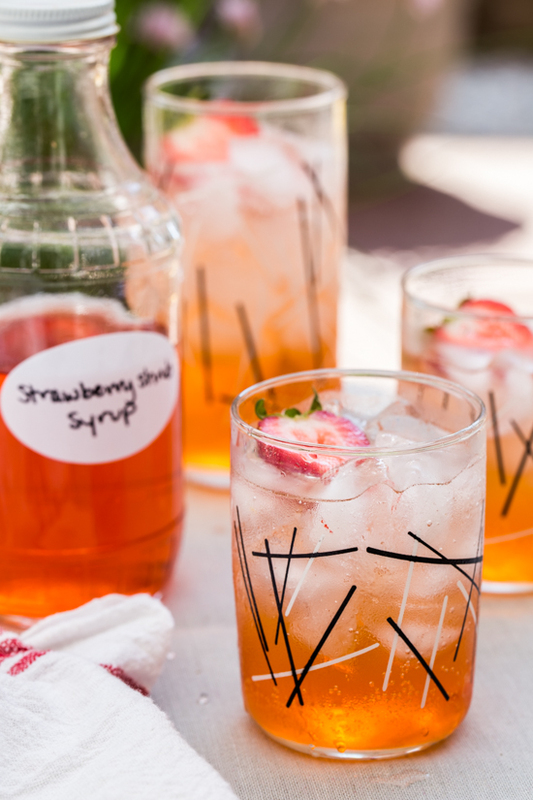 Give these shrubs a try – you will be licking the glass clean, they are so delicious! In a glass bowl, mix together strawberries and sugar. Cover and refrigerate for 1-3 days. Strain out strawberry pieces from the syrup using a fine mesh sieve. 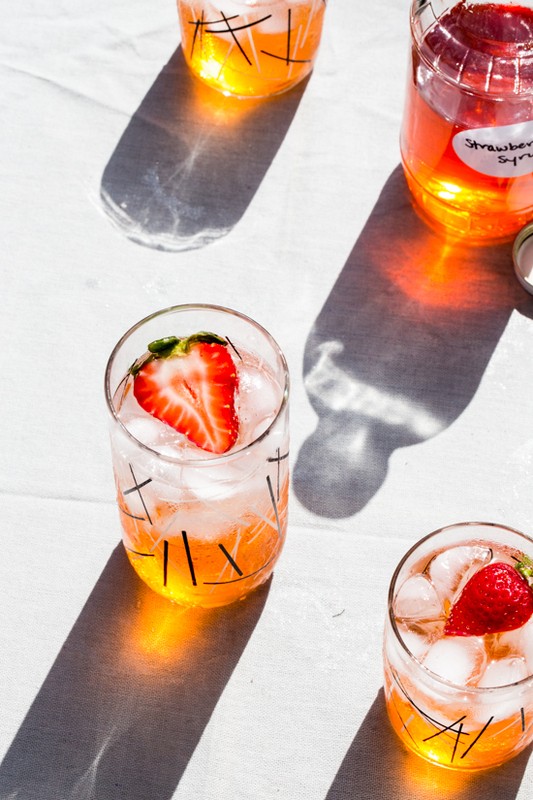 Mix cider vinegar and strawberry syrup and pour into a mason jar. Store shrub syrup in the refrigerator. Mix 1/4 cup shrub syrup with 1/2 cup seltzer water and pour into an ice filled glass. These coolers look perfect for Friday! 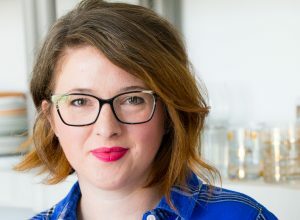 Thank you, Jessica! Have a great weekend!